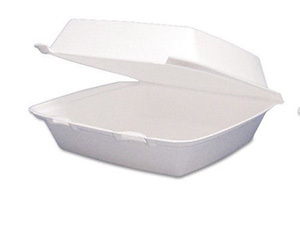 Lawmakers in New Jersey are considering a ban on foam containers in public schools and universities, WBGO reports. If the legislation goes into effect, school cafeterias would no longer be able to sell food in foam containers. Advocates for the ban say it would help the environment because plastic foam takes around 500 years to biodegrade, while opponents argue that the ban would raise costs and say that replacement containers would still have a negative environmental effect. Read the full story via wbgo.com.